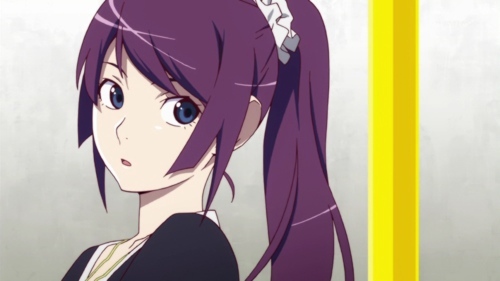 Just like a person who scoffs down several coloured plates then feels too full to have any of the red ones, it has come to my attention that if I posted reviews of Bakemonogatari every day in a row I would exhaust my supply far too quickly. 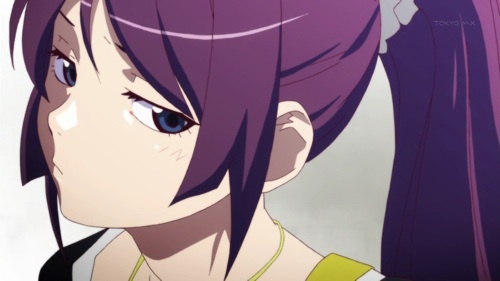 This is also the first time I've reviewed an anime series as it's airing instead of using DVD releases, so I'm having to think of ways to occupy myself while waiting for the next episode. Speaking of eyes (wait, what? 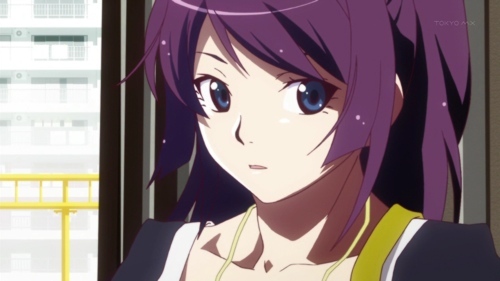 ), I think it would have made far more sense for the “password” for this episode to be eyes or hitagi-eyes. 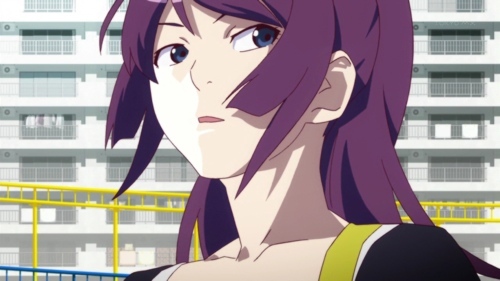 It was almost as if they adapted the story for this episode to maximise the number of random close up shots the animators could do so they could draw Hitagi’s eyes. I lost count after 14 times. 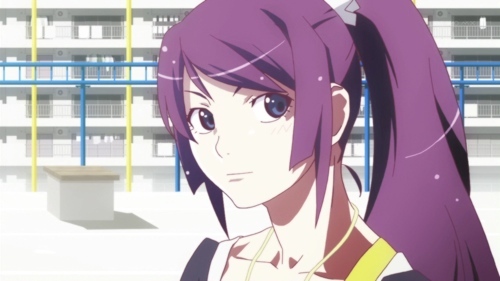 Drumroll please: in this brilliantly composed post of literary genius I present a guide to get to know the moods of Senjougahara Hitagi. This is strictly for entertainment purposes only, I absolve myself of any responsibility if you find a staplers in your mouth. And yes to reiterate, these are all from the same episode. And this isn't even a quarter of them. For your sanity and for my bandwidth I have limited myself to these so far. Arigato. "Wary [of wind blowing hair into her eyes]"